Stan has a plan to build a boat with his dad and race it. 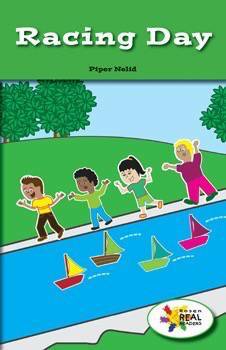 The bright illustrations and key details will make readers excited to learn who wins the race. This fiction title is paired with the nonfiction title My Toy Boat.